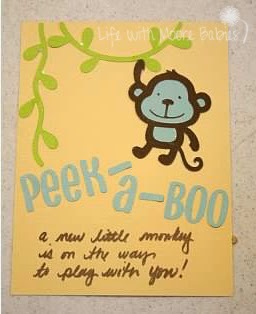 There are tons of cute ways to announce your impending bundle of joy! 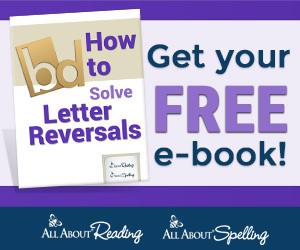 I have collected some of the easier, but still fun, ways from fellow kid bloggers, and of course I have included my own announcements too. With our first I put together a basket of baby supplies like a bib, bottle, pacifiers, etc that the grandparents might like to keep at their house. Unfortunately, I couldn't find any pictures of the baskets; guess I was too nervous about telling them that I actually forgot to take pictures! Believe it or not this is my oldest at 7 months old sporting her Big Sister shirt! 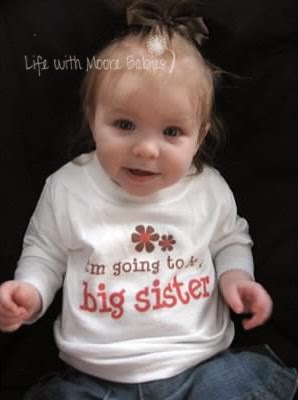 Big Brother and Sister shirts are a pretty easy way to let your little one announce a sibling! You can see another example of this at Bare Feet on the Dashboard! I used my cricut to make a cute little card for the grandparents when I was expecting Eli. 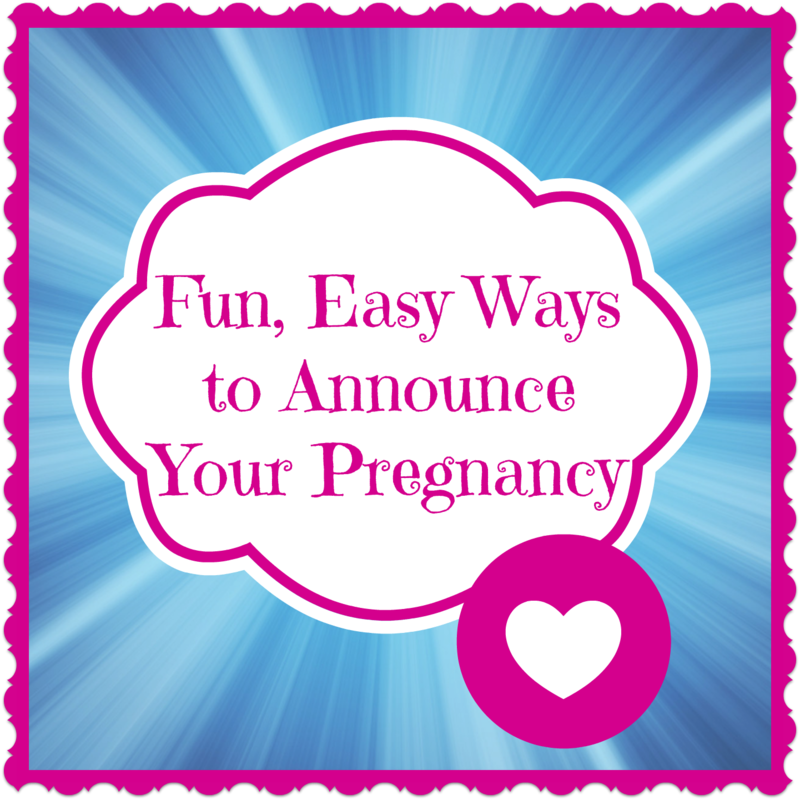 All of my kids had animal nicknames based on cravings or other pregnancy symptoms I was having, and he was monkey! 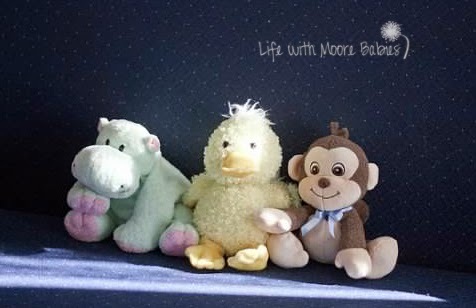 As far as telling other people, we went about it by placing monkeys throughout our church and added a hippo and a duck (for my daughters) in our normal seat. We weren't there when everyone found them, but I'm told a few did figure it out for my clues. Others apparently just thought the monkey was for my husband. 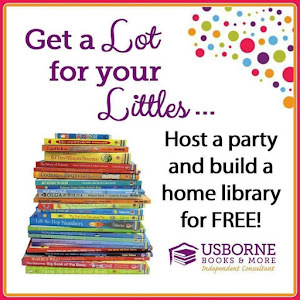 Another popular way to announce is using pictures, especially ones involving chalkboards. Tons of cute ideas out there as to what to put on the chalkboard. Check out these kid blogger favorites! 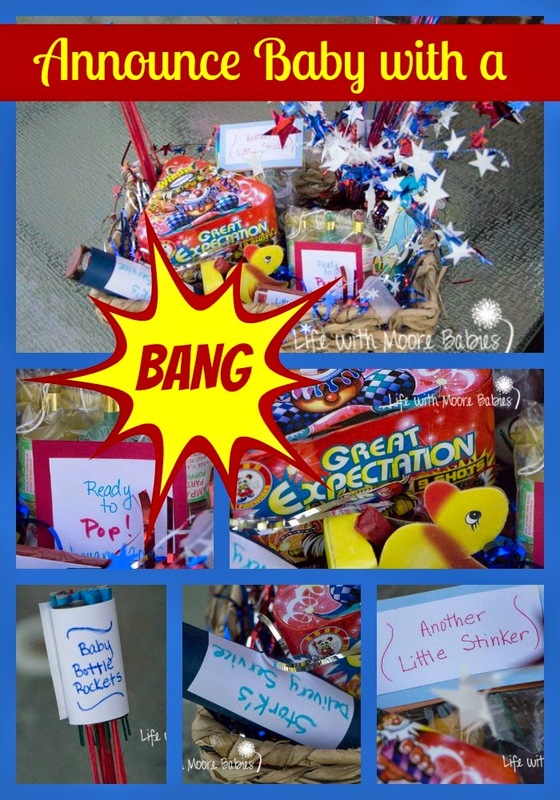 For our fourth, yep you read that right we are expecting a fourth, I went with a baby themed fireworks basket since we announced to grandparents around July 4th. Originally I wanted to get a personalized firework,but have you seen the price of them??? Way too much! So I got creative with fireworks. If you can't read the labels I made, they are: Ready to Pop with the due date (champagne poppers), "Baby" Bottle Rockets, Stork Delivery Service (parachute), Another Little Stinker (smoke bombs), and. I included a Little Bundle of Dino-mite (pack of firecrackers) since we are calling this one our tiny Dino. I was lucky to find Rubber Ducky and Mother Goose fireworks along with one called Great Expectations as well! A couple other cute announcements. I have see that would be easy to put together are a Preggo Kit from Mom Endeavors and a Thanksgiving Themed Count Your Blessings Announcement from Teaching Mama! Just for the fun of it, thought would throw in some Gender Reveal ideas too! With the girls we just told everyone, but with Eli gender reveals had started to pop up, and he was the first boy for my family, so I thought we should do something fun. 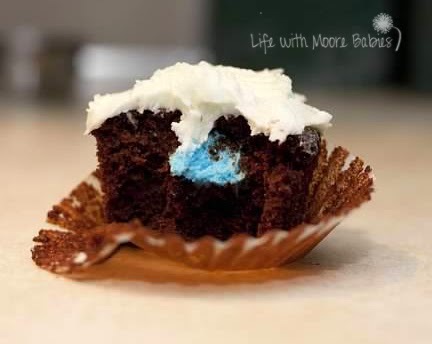 For my family, I filled cupcakes with blue icing! My sister couldn't wait long enough to take a bite, she just ripped hers apart! 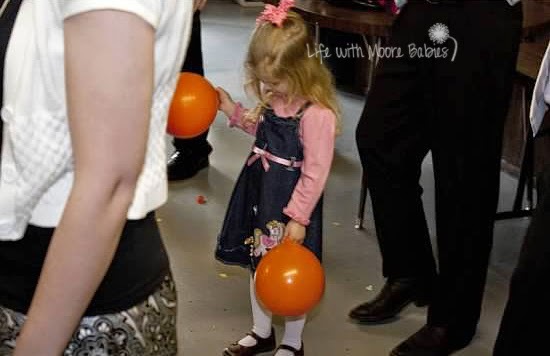 Not everyone in my husband's family can have cupcakes, so we went with neutral colored balloons filled with confetti. 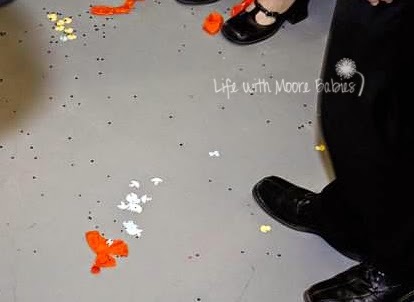 We were tricky though filling only one with boy confetti and the others with gender neutral confetti. My husband, being as ornery as he is, made sure to give the important balloon to my oldest, so it would be the last one popped! It was fun watching everyone pop those balloons though! 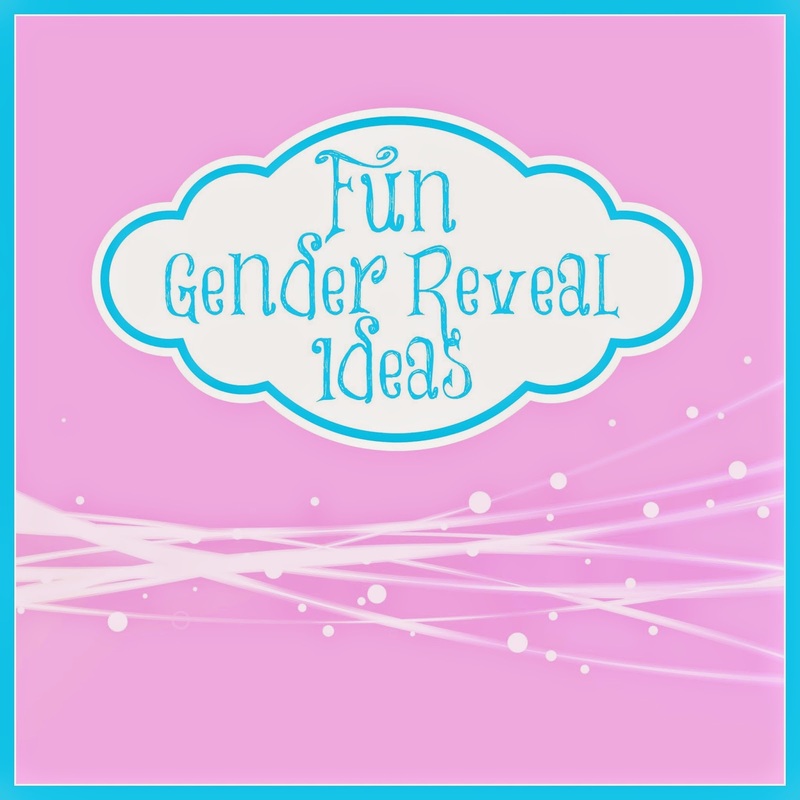 My fellow kid bloggers have tons of good gender reveal ideas too! In fact I may have to use some this time around, but I haven't decided exactly what! And just for my own sanity I wanted to throw in this fun post from My Life and Kids about Why Everyone should have 4 Kids!